+ Make sure you have enough rest or sleep the day before the trip for you to enjoy and try out all adventure perks NPC Nature park has to offer. 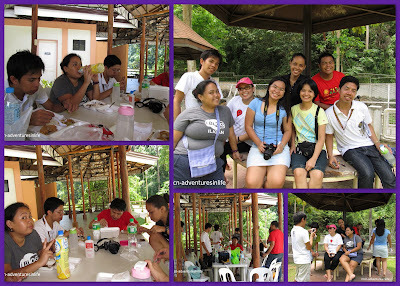 + Bring Close shoes to save up Php 50.00 shoe rental fee if you're ziplining. Well, everyone knows I'm not physically fit, if you don't? then now you know hehe. So although I'm not physically fit I am so eager to be adventurous and try out everything extreme or quiet extreme for me. + Always always hydrate yourself with water or you can carry with you gatorade just like I do. + There are parts of the park that requires walking and quiet a lot of walking so you should be ready for that, if you're not that physically active, then you can start and warm your body up now. + If you'll go ziplining, you'll be climbing stairs, so prepare yourself for that. -- till next time Purpleslipperz.